I think I kind of love this book. It wasn’t at all what I was expecting. I was thinking it would be just an average high fantasy quest kind of book, with a little bit of cheesy message thrown in at the end. Let’s just say I was very wrong. This was a powerful, thought-provoking high fantasy quest with an intricate, magical plot, and a beautiful not cheesy massage woven throughout the whole storyline.The plot, while starting off slowly, begins to grow into something full of excitement and suspense. The pacing is perfectly balanced. It’s never rushed, but there’s always a subtle hint of urgency behind it. It was practically impossible to put down! The writing was rich and powerful. The narrator’s voice was very present and set the tone for the whole book. It was descriptive, without being overly detailed. It flowed smoothly and clearly, making for a fully engrossing story.Usually I don’t like any religious elements in my books because they come across as forced, unrealistic, and overly-preachy. But this was different. It felt real and personal to Elisa. The history and culture in the story was heavily influenced by God, but it felt…natural, not weird. 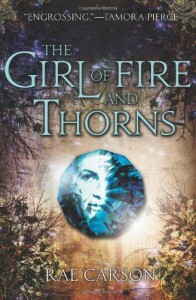 I loved seeing how Elisa’s faith played a role in her overall character, especially with her connection to the Godstone, and being the Chosen One.Elisa was such a striking main character, who goes through an amazing metamorphosis over the course of this novel. 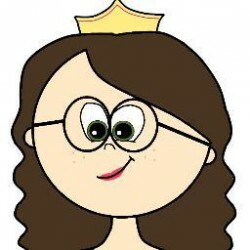 She begins as an troubled overweight princess who has a heavy duty put on her shoulders. She is weak and insecure; not the kind of heroine you’d look up to. But when her circumstances drastically change, she’s pushed beyond her boundaries into territory she never knew she could cross, growing her into a stronger, more confident woman with every step taken, and every page turned.This is a book anyone could easily fall in love with. It has a marvelous setting, real characters, and excellent prose, which all together create an unforgettable story.